Mozilla released Firefox 55 for macOS on Wednesday, touting new performance settings, faster speeds, several new features including a screenshot utility, and the addition of WebVR support. Firefox 55's major front end feature is Firefox Screenshots, accessed via a new screenshots icon on the toolbar. The feature allows users to capture a region of a web page by clicking and dragging a selection manually, or allowing Screenshots to capture one for them simply by hovering over the page element. It's also possible to capture a full page view without scrolling, and selections can be saved to an online Screenshots library, shared, and downloaded. Mozilla says Firefox Screenshots will be a gradual rollout so not everyone will see it immediately. Meanwhile, WebVR is the big platform feature shipping in Firefox 55 that allows users with an HTC Vive or Oculus Rift to experience VR content on the web. Although the feature is currently only available to Windows users, there's good reason to believe that macOS support is on Mozilla's roadmap, given that Apple developers have recently joined the WebVR open community initiative. In addition to the above, Firefox 55 promises users a dramatic performance improvement in session restores with large numbers of tabs, an option to fine-tune browser performance with e10s multi-settings, a new click-to-activate Flash Player, search suggestions in the Awesomebar enabled by default, and a modernized update system. Firefox 55 is a free download for macOS and can be directly from the Mozilla website. Just wait for Firefox 57. It will blow you away! I couldn't believe it myself when I compiled it from the Mozilla beta-repo, but it definitely is faster than Chromium 60. The only downside is that they drop support for non-WebExtension extensions in 57 going up to 60, but it's a drastic step that will help streamline extension development across the board. The new nightly icon is nice. Jonny Ive would love it. I don't get why people hate on FireFox, its just as good as Chrome or Safari. In fact, I favour it because it does not require me to log-in into my account and record my whole browsing history to sell me ads. It is also made by non-profit which means they have no malicious intentions except providing a good browser for the people. We should all support free open-source software. I am using Firefox since the beginning. Before that, I used his grandaddy, Netscape Navigator and sometimes the old Mozilla. At first I thought it's sarcasm, then I realised your serious, it probably still lags behind Safari, it's the browser I use 99.99% of the time, sometimes I 'need' Chrome for reasons, but as little as possible, haven't opened FF in a while, used to be a good browser looooonnnnnggggg ago. Firefox 57's Servo engine is built with Rust and makes use of parallelism. Safari uses Webkit, Chrome/Chromium uses a recent fork of Webkit called Blink. Chrome and Safari get their performance by being very resource hungry applications by design. Servo should be quicker and use far fewer resources than all competitors today. 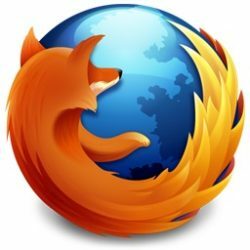 Firefox 55.0.1 released on 13th Aug.